There are all sorts of terms to describe the father of a child, and all sorts of adjectives added to the title. Dad, daddy, pops, poppa, poppi, pappy, padre, step, in-law, ol’ man, stay-at-home, work-at-home, working, third shifter, man of the house, king of the castle, sith lord. Move aside all of these terms and you have a particular type of man acting in a particular set of circumstances as a Father. I speak from experience with a variety of examples in my life and from my own journey to embrace and embody the term. To all of the Fathers out there, we here at the detour wish you a Happy Father’s Day and hope you feel the love of your family today and every day. At the same time, I want to also thank the “Dad-vocates” who support all fathers, but especially those working spouses, wives, partners, etc., whose day-job allows us to do what we do. Without you there is no such thing as a stay-at-home Dad. Today may not be named for you, but you and the role you play are appreciated. I spent the day with my girls, Wife and Sweetie, which was great in itself. We started the day with breakfast with my father (Sweetie’s Grampa) and our side of the family. Afterwards I called my step-father (Sweetie’s Poppa) in Florida to exchange well wishes. We ended the day visiting with Wife’s parents and family to wish her father (Sweetie’s Buyo) a happy day. I sent text messages to friends who are fathers and also phoned Brother Busted Knuckles to wish him a good one. Each call, visit and message reinforced the kinship I feel with these men because we all carry the title “Father”. So I end my day sharing that kinship with the father’s out there in the larger world. Happy Father’s Day to you all, this one’s still for you. 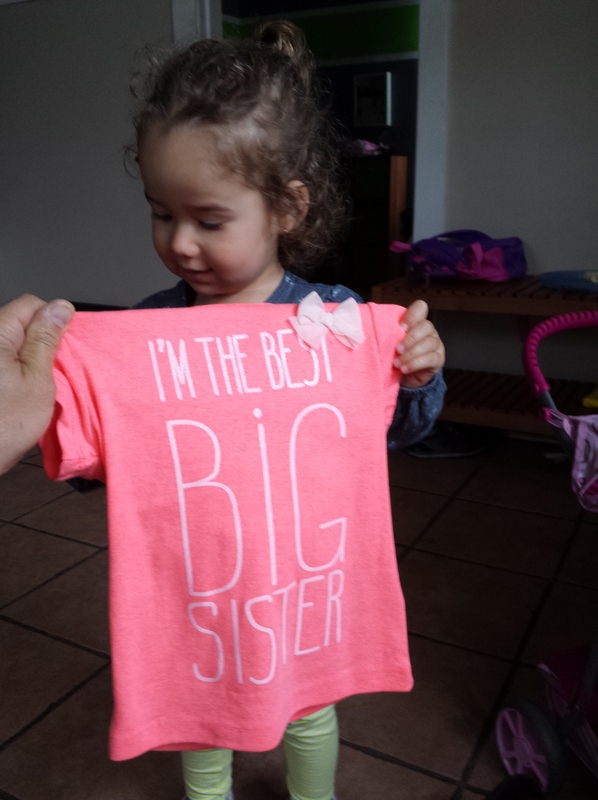 That’s right, Sweetie is going to be a big sister – we are expecting here on the detour! In all honesty, baby “Garbanzo” is almost done cooking. 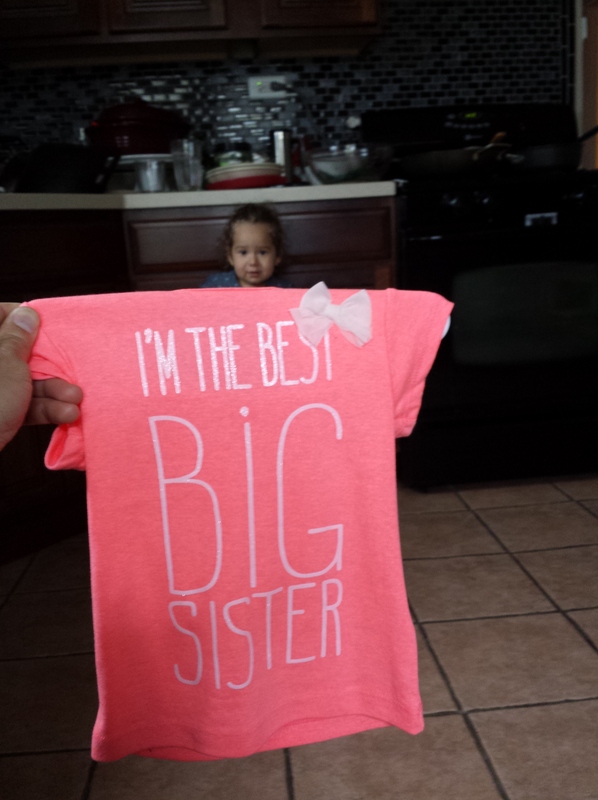 (Sweetie was “Frijol” until she was born – its’ just a weird legume affection) The “official” due date is August 9, so yes I am that far behind in my writing. Anyone who has seen us recently knows we’re expecting, but there are still some friends who are not caught up. So we are spreading the word! So no longer will I write as the first-time Dad learning his way around this whole child-rearing gig. Soon I will write from the perspective of the seasoned, snack time master, play date champion Father-of-two. Or I will be so overwhelmed that I won’t write at all! No, no, no, there will be so much to share. Plus I will be able to appreciate this child’s development more since we have already experienced the stages and I’ll have an idea what to watch for. That should also help me make sure my camera is ready! So wish us well. Sweetie has already been moved in to her new room, complete with a new “big girl” bed (more on that later). Wife and I have also moved to a new room, and gained a new “adult bed” (with matching dresser and nightstand) and a freshly renovated closet from the deal. But obviously there are more changes coming. Oh yeah, and the whole birth thing to get through. Even though we have been through so much of this before it is still going to be so new. And once we meet the new member (we won’t know the gender until it arrives) we will share the pics and figure out a detour code name. 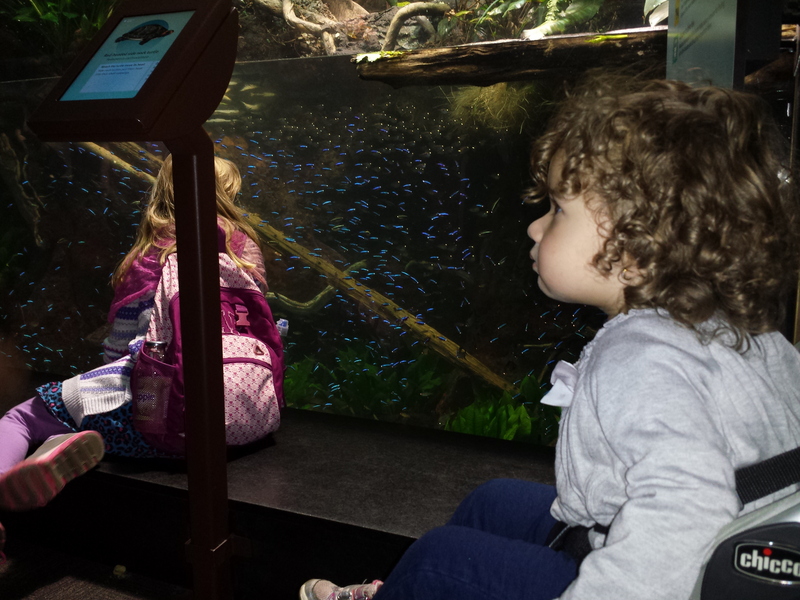 Chilly rain and overcast skies made a perfect day for…the aquarium! 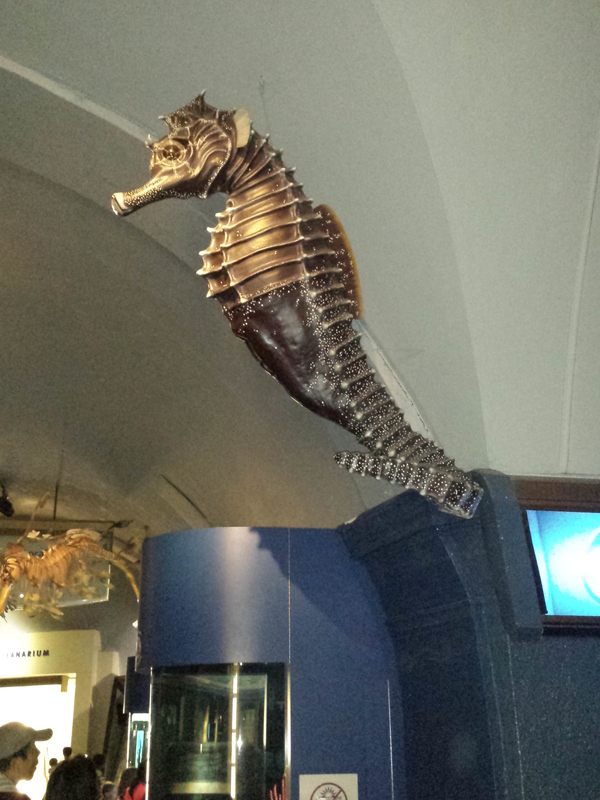 Sweetie and I spent today down at the John G. Shedd Aquarium. Uh, Dad, there are no fish out here. 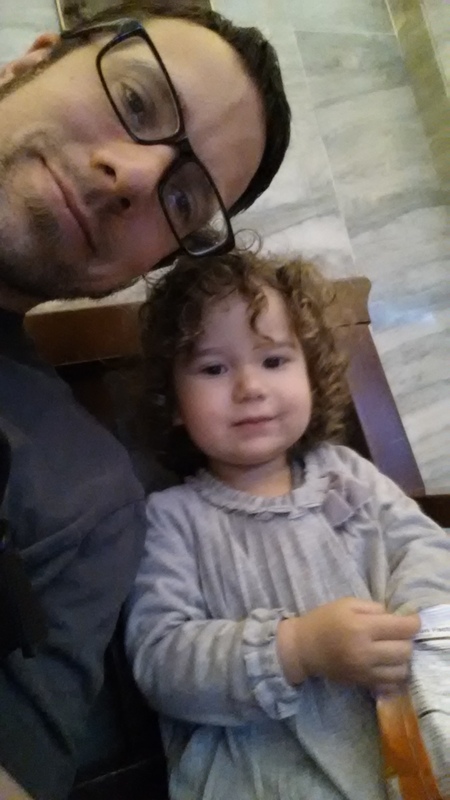 Today the admission was waived for Illinois residents, so free day at the Shedd! The plan was to have a group meet together to enjoy the day, but illness struck two of the households and another two canceled. The result was a Dad-Sweetie adventure day! Sweetie got a kick out of all of the fish. Of course it was entertaining watching her point and talk to all of the fish. It was pretty fun listening to her call the smaller fish “babies” and make shushing noises for the fish that were sleeping (those not actively swimming). 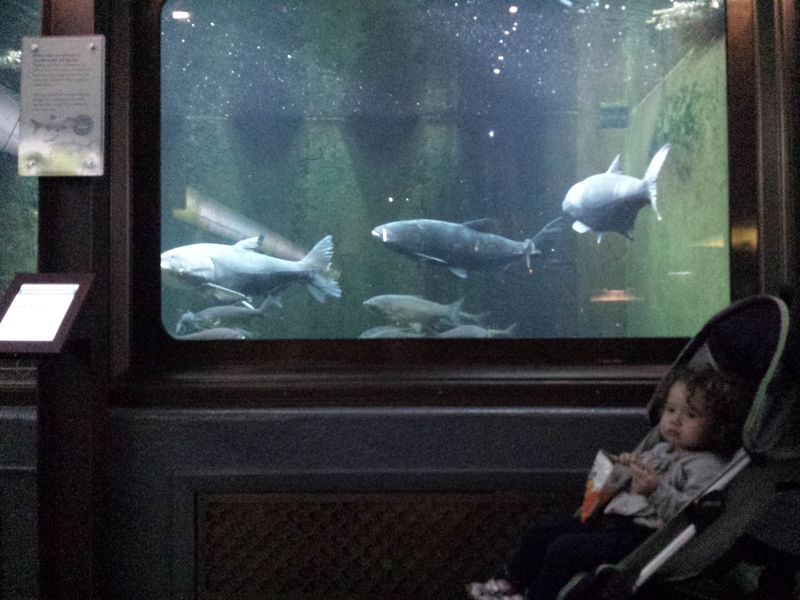 Many of the exhibits have water levels above three feet, so she could enjoy the fish even while sitting in her stroller. We both enjoyed checking out the crowds as well. 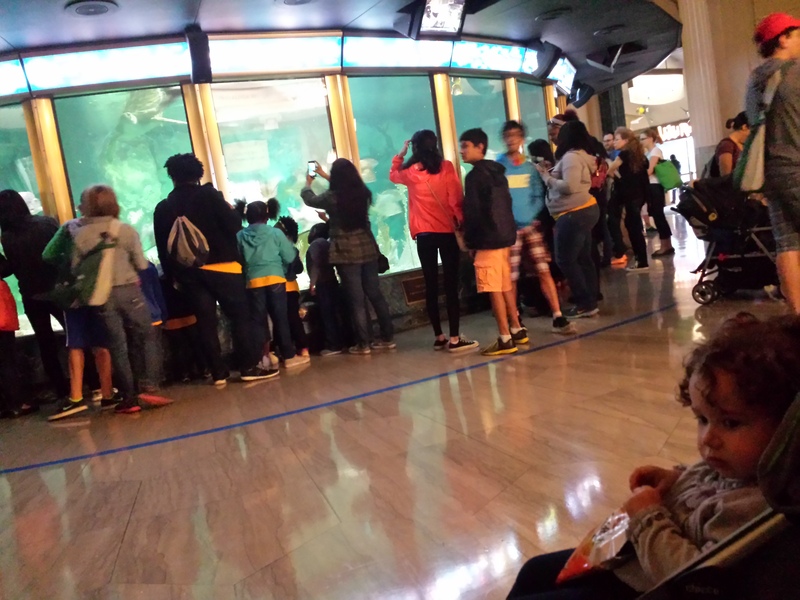 With a full aquarium the people watching was great! 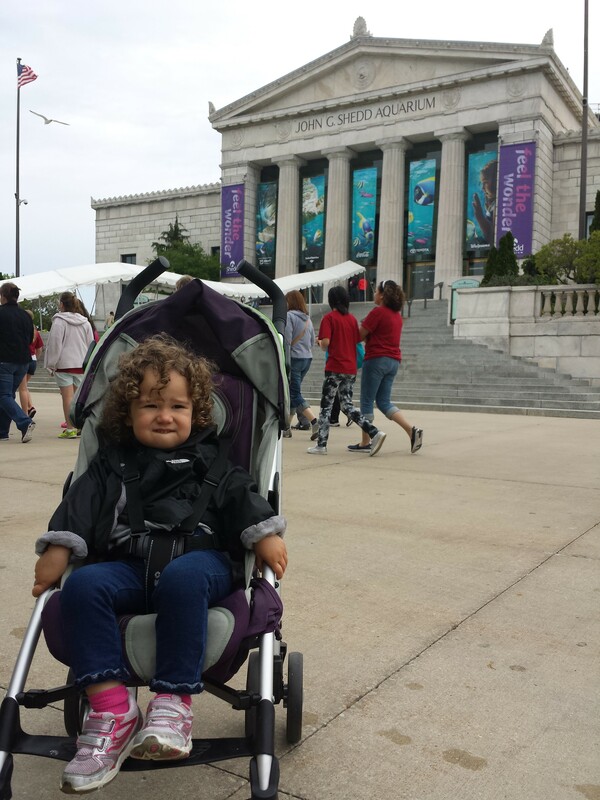 I have been going to the Shedd since I was a child. I was reminded of this by all of the day camp and school group students that surrounded us today. The last time I went was two years ago for wife’s birthday (she was actually pregnant with Sweetie). We took part in the “Trainer for a Day” program that the aquarium hosts. We spent that afternoon behind-the-scenes with an actual trainer and got hands-on with the beluga whales. So to all of the adults out there: When was the last time you went to the Shedd? The Shedd Aquarium will be free for Illinois residents again on Monday, June 16 and Tuesday, June 17. They open at 9:00 am. and it was much more enjoyable early in the day (when we left the ticket line was long). There is still parking to contend with, which will set you back $22. And they frown on “outside” food, so we dropped about $20 on lunch. I will forgo the the cliché from the credit card commercial here, and just say a day at the aquarium with my daughter was pretty great. As is customary with so many experiences here on the detour, I found myself grateful for many things today. It starts with the friends who called to say they couldn’t make it. Given that they could have just blown me off, I appreciated the heads-up that they weren’t coming. That way I could just focus on Sweetie. Overall, I was thankful for the free day. The Shedd and all of Chicago’s museums have free days. It is just a matter of getting out and taking advantage of them. Lastly, I am thankful to a pair of students who found my lost cell phone and brought it to the Guest Services desk. That’s right, just after snapping some shots at the Caribbean Tank I lost my phone. Not realizing this, we went for a diaper change and headed toward the cafeteria. So I noticed my phone’s absence about fifteen minutes later and scuttled among the free-day crowds re-tracing my steps. It was then I spotted the Guest Services desk and decided to ask if it had been found. After I properly identified my phone I was informed by the man at the desk that “two elementary school girls” had brought the phone to him. Even he was surprised. I asked if he knew their school and he said no, so I just want to put my gratitude out there to the universe. And if this scenario sounds familiar to anyone out there, please let me know so I can thank those two students! They saved our good day!